We are a dental specialty practice devoted to restoring good oral health and enhancing the natural beauty of your smile using conservative, state-of-the-art procedures that will result in a dazzling smile! A standard of excellence in personalized dental care enables us to provide quality dental services our patients deserve. We provide comprehensive evaluations and treatment plans, use the latest techniques, utilize state of the art equipment, and work with the most talented restorative dentists to achieve your optimal dental health. Should a dental emergency occur, we make every effort to see and care for you as soon as possible. As a practice, we are true believers that preventive care and education are the keys to providing optimal dental health. Our philosophy is to provide “dental health care” vs. “disease care”. That’s why we focus on thorough examinations -- checking the overall health of your teeth and gums, performing oral cancer exams, and taking dental films when necessary. Apart from a person's periodontal concerns, we render a complete evaluation of their entire oral condition. We stress that routine cleanings, flossing, sealants, and fluoride are all helpful in preventing dental diseases. A review of your medical history allows us to stay informed of your health status, your current medications, and any recent illnesses that may impact your dental health. Lastly, creating an aesthetically pleasing smile is just as important as achieving good oral health. Infection control in our office is of utmost importance to us. To protect our patients and ourselves, we strictly maintain sterilization and cross contamination processes using standards recommended by the American Dental Association (ADA), the Occupational Safety and Health Administration (OSHA), and the Center for Disease Control (CDC). As your dental health professionals, we impart treatment that not only promotes dental health, but also offers improvement with self esteem and even quality of life. Please be assured knowing that we are a team of highly trained and skilled clinicians committed to continuing education and learning. We attend dental lectures, meetings, and dental conventions to stay informed on new techniques, the latest products, and the newest equipment that a modern dental office can utilize to provide state-of-the-art dental care. Furthermore, our memberships with various professional dental associations help us stay abreast with the changes and recommendations regarding our profession and specialty. Building a foundation of trust by treating our patients as special individuals is vital to our practice. We understand how uneasy some patients may feel about their dental visits, but we can assure you that we strive to make a difference by providing a relaxing and positive experience. We offer sedation dentistry for the extremely apprehensive patients. 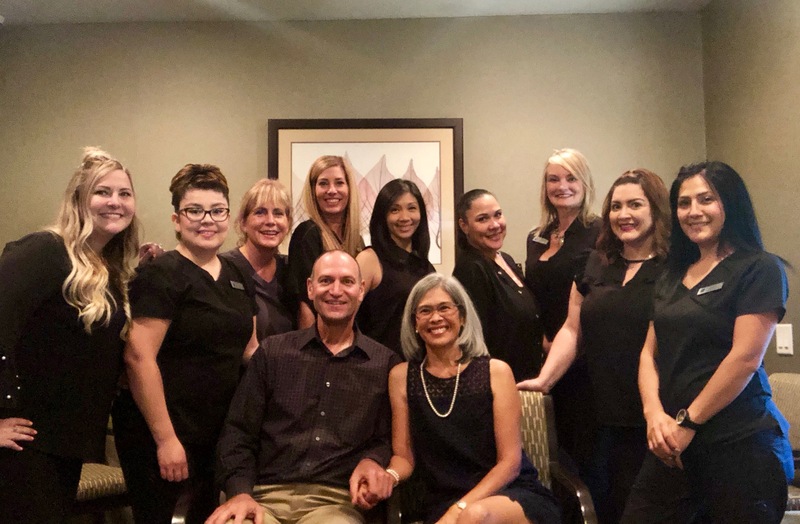 Our entire team is dedicated to providing you with excellent, personalized care, and service to make your visits as few, as comfortable, and as pleasant as possible.